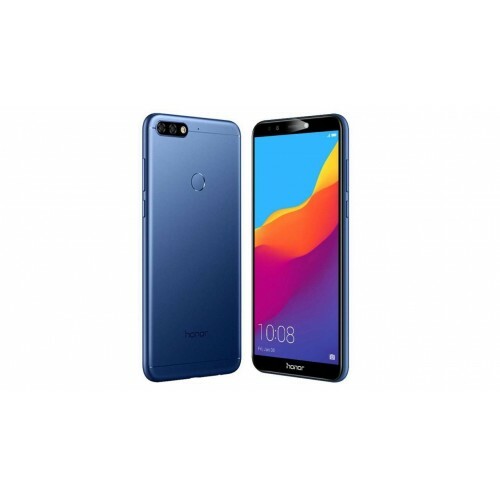 Product Description The Honor 7S Smartphone is here to elevate your experience with its impressive FullView Display and crystal clear volume. Adding to this is the presence of a 13 MP Rear Camera that lets you capture moments at their memorable best. Your selfies too will seem clearer, as it is equipped with an LED Selfie-light. Honor FullView Display - Bigger Screen in a Smaller Body Handy yet captivating - enjoy your favorite visuals come alive on this phone’s 13.84 cm (5.45) screen with a resolution of 1440x720. It also has an aspect ratio of 18:9, thereby paving the way for a theater-like experience on your phone screen. 13 MP Rear Camera - Pictures that Spark an Interest Get set to click pictures that are sharp and crisp with the help of this phone’s 13 MP Rear Camera that comes with the fast focusing Phase Detection Auto Focus (PDAF) Technology. LED Selfie-light - Brighter Selfies No matter what the light conditions are, your selfies will still look glorious, as this phone’s 5 MP Front Camera comes with a smart LED Selfie-light. It intelligently adjusts the lighting based on various conditions to enhance your selfies. Smart Face Unlock - Easy Access You don’t have to worry about frequently typing the password, as you can unlock your phone with just a glance. Large Battery - Enhanced Usage With the presence of a large battery (3020 mAh), this phone will be at your beck and call at all times. It also comes with the Smart Battery Management 6.0 which reduces the power consumed by the background applications and optimize the foreground app performance. Dual SIM + Micro SD Expansion - The More, the Better This phone comes with two SIM card slots as well as a Micro SD card slot, thereby giving you the freedom to utilize the gadget based on your convenience. It comes with 2 GB of RAM and 16 GB of memory (expandable up to 256 GB). Huawai Telecommunication (india) Co.Pvt. Ltd.